Technology GPU Kya Hota Hai? 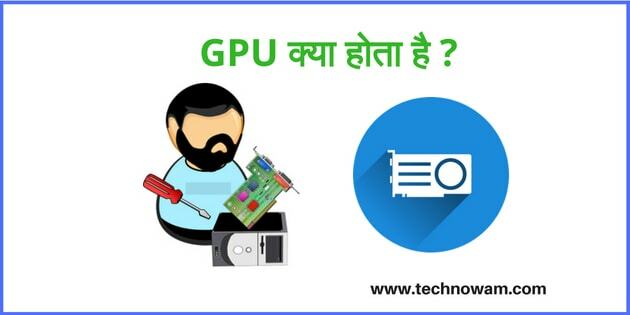 GPU yek technology hai jiska use electronic device me kiya jata hai.GPU ka full Form Graphic Processing unit hota hai.GPU single processer chip hai jiska use mukhya rup se videos and image ke screen quality ke increase karne ke liye kiya jata hai. Jo bhi aap apne mobile me notification baar ko up down karna,Game khelna,matlab Mobile and computer screen per jo bhi aapko dikhne ko milta hai wah sabhi GPU ka process hota hai.Ab baat kare computer ki to computer me bhi GPU ka bhut hi Jayada upyog hota hai.Jis kisi bhi computer ya Android Device ka GPU acchha hoga uska utna hi Performance acchha hota hai. kabhi-Kabhi aapne dekh hoga ki jab aap Mobile me game khel rhe hote ho tab achanak se aapka screen kaam karna band kar deta hai iska matlab us mobile me GPU acchha nhi hota hai aur to aur kuch aise game hote hai jo aapke mobile me support hi nhi karte hai iska bhi matlab yahi hai ki mobile ka GPU acchhi nhi hota hai. Agar computer ki baat kare to hame alag se graphics kard ka istemal karna padhta hai jisse computer ka GPU acchhi tarah se kaam kare. ➧Videos editing karne ke liye use kiya jata hai. ➧Mobile and Computer ki Display monitoring ke liye use kiya jata hai. ➧High intensity graphics like Auto Cad software ko support ke liye use kiya jata hai. 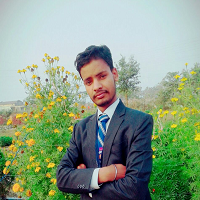 ➧fastly mathematical calculation ko solve karne ke liye Computer and Android device me use kiya jaata hai. ➧High quality image ko banae me. GPU ko sabse pahle 1999 me NVidia ne develope kiya tha.Jiska second name GeForce 256 rakha gaya tha. iska model is prakar se banaya gaya tha jisme 10 million polygons per second process hota tha aur isme 22 million se jayada transister tha. Geforce 256 transform, drawing and BitBLT support, lighting effects, triangle setup/clipping and rendering engines ke sath-sath single processor chip bhi tha. Aab jitne bhi Android and Computer aate hai oo sabhi high quality GPU pe based rahte hai. Jald hi Honor Play Android Mobile lounch huwa hai jo GPU turbo pe based Android device hai jo bhut hi acchha android device hai. GPU bhut hi famous ho gya hai kyuki iski demand day by day increase karti jaa rahi hai. PC and Android ki performance ko increase karne ke liye ye bhut jaruri bhi hai. Adreno Yek GPU hai jise American company Qualcomm banati hai. yah company Adreno ki series banati hai jo diffrent type ke operating system me use hota hai.like Linux,Android Mobile.iska SoCs ke variety me use hota hai.iska sabse pahle Imageon brand ne banaya tha jo ATI technology ke name se jana jata tha,baad me ise American company Qualcomm buy kar liya.iski bhut saari variety aati hai like Adreno 130, Adreno 200 and Adreno 200 'enhanced etc. Tegra ko Nvidia ne develope kiya hai jo smartphones, personal digital assistants, and mobile Internet devices ke liye suitable hota hai.ye acchha GPU hai and iski dual core processer sabse pahle world me aaya tha.ye 1080mega pixel high quality videos ko decode and encode karti hai. PowerVR GPU ka istemal popular company karti jai jaise samsung,Blackberry,Apple,Intel aur bhut saari company use karti hai.iis GPU ko british company Imagination Technologies ne banaya hai.yah company device ke compatability ke dekhkar banati hai. Vivante ka pahle GiQuila ke name se jana jata tha jise 2007 me name change karke Vivante rakh diya gaya. Vivante GPU Vivante corporation China company ke dawara banaya gaya hai.yah company Mobile visual reality se sambandhit product banati hai like high-definition home entertainment, mobile gaming,image processing,automotive display and entertainment. Videocore yek U.K company hai jise Alphamosaic Ltd company ne banaya tha.Videocore bhut hi low power Mobile multimedia processer hai.iska bhut saari varient ya series me aata hai.iska yek series VideoCore IV BCM28155 ka istemaal Samsung Galaxy Grand ,Samsung Galaxy S II Plus and Amazon Fire TV Stick karti hai.ye bhut hi flexible hai. ADM Radeon Technologies Group ka GPU product hai. AMD ka full form (Advanced Micro Devices) hota hai.Radeon Technologies Group bhut saari computer product banati hai like RAM disk,RAM disk software,solid-state drive,random-access memory. too mսch time both reading and commenting. But so what, it was still worth it!